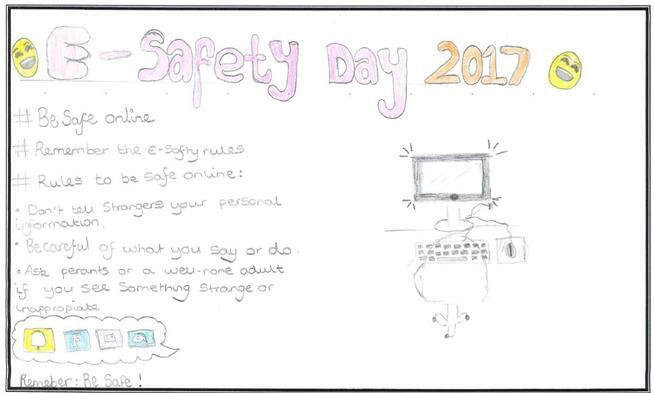 Tuesday February 7th 2017 was Safer Internet Day (SID), a day that is very important to our school and pupils. This day is organised in the UK by the UK Safer Internet Centre (www.saferinternet.org.uk) in February of each year to promote the safe and responsible use of online technology and mobile phones for children and young people. It is celebrated every year across Europe, and in other countries worldwide. This year’s theme ‘'Be the change: unite for a better internet' offers the opportunity to focus on both the creative and positive things that children and young people are doing online, as well as the role that we all play in helping to create a better internet. 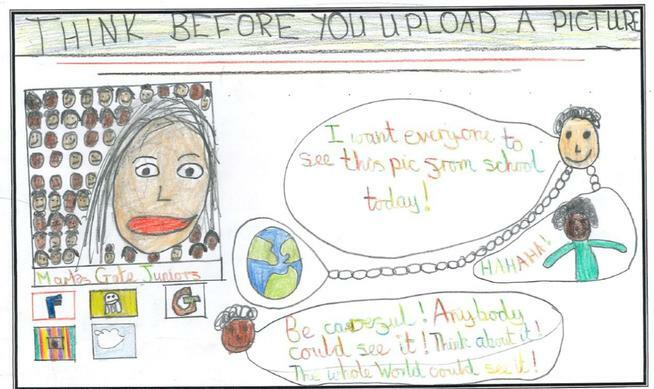 The focus this year is ‘The Power of Image’, ensuring how children can upload photos that are appropriate and stay safe. We believe that internet safety education is a crucial element of the curriculum and an essential part of young people’s development. 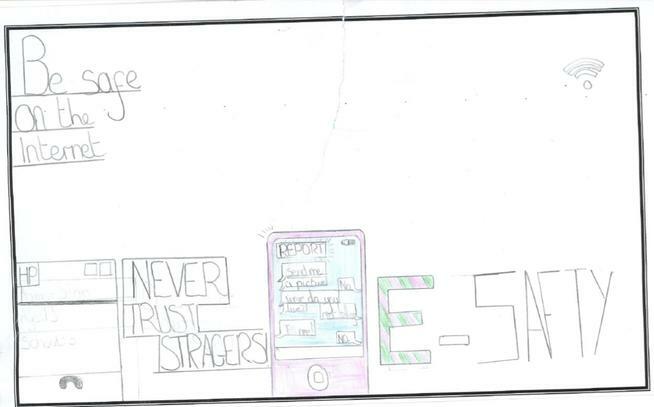 Children should feel confident but safe when using the internet. It is a great resource, but they must understand the dangers. 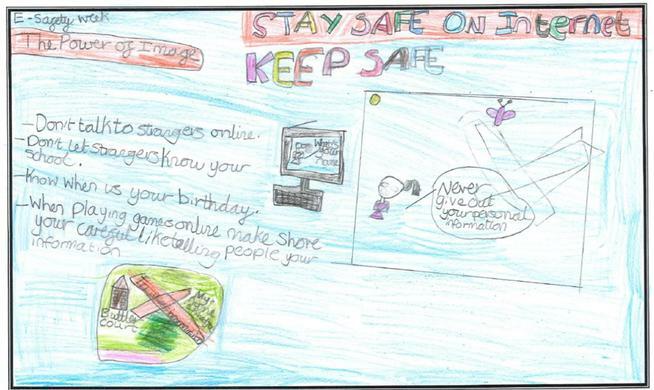 The children had been asked to design a poster which encourages children to stay safe on the internet, incorporating the theme ‘The Power of Image’. The winners were Khadija (year 3), Adrijona (year 4), Lionel (year 5), Ellie (year 6). See their winning designs below.